Dimensions: Height 20"x Width 20" x Deep 11"
Our extensive production of stone garden sculptures is completed with the full range of crests, emblems, coat of arms and masks, used to decorate stone fountains, or pinned to the walls, often above entrances or balconies. Coats of arms of all shapes and sizes, or custom crests referring to symbols of ancient cities and lands. 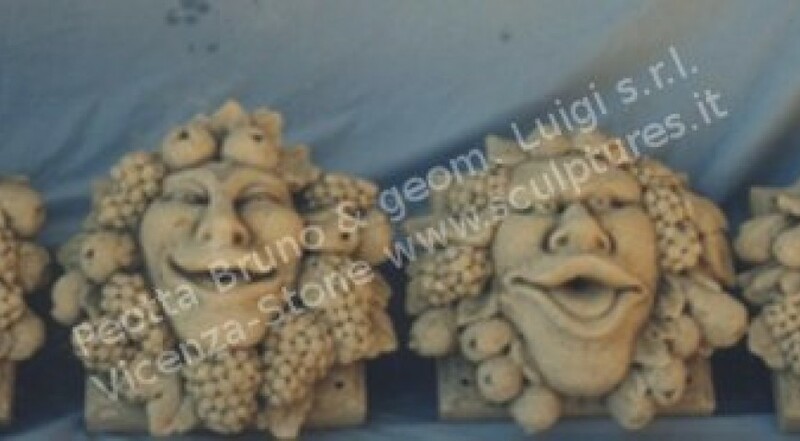 Allegorical masks used for the decoration of fountains or stone facades, or simple rosettes used on cornices and windows frames.